On a Chromebook - want to caps lock using a shortcut? 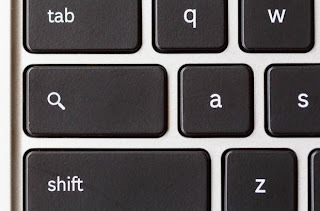 Try using Alt + search (search is where a Caps lock is on a notebook). 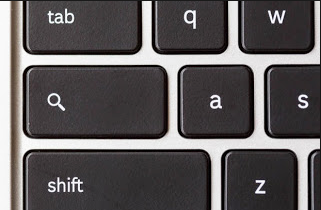 To take off the caps lock just use Alt + Search again. 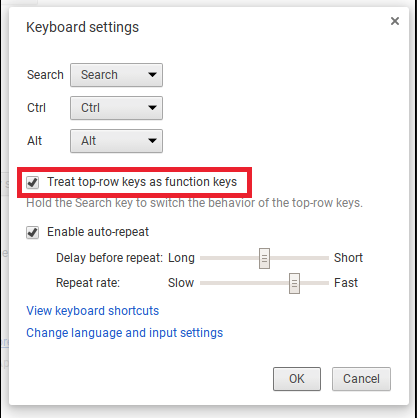 So many times this past year I have had kids and adults ask me, 'Where is the Caps lock button on my Chromebook?" Bad news 1st - there is no Caps lock button. 1. You know the little magnifying glass that is where the Caps lock button should be? Click on it. What do you see? 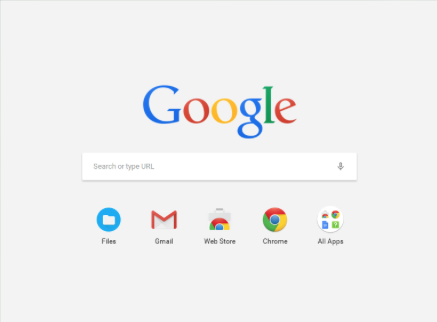 That's right - a Google Search button comes up without opening up a new tab - pretty awesome right? 2. Ok, Brad - that's cool - but how do I make a Caps lock button? All you need to do is click on ctrl and the search and it will automatically get you CAPS lock. To disable - just click ctrl search again. SETTINGS (bottom right of screen) and look under the device settings. You will see Keyboard Settings - click on that. Then, select SEARCH and then make it Caps lock. Now you have it back - but no "Search" button.